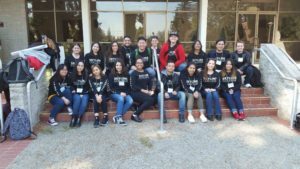 Tutor Expo ’18, the third annual conference by and for postsecondary tutors, faculty, staff, and administrators connected to tutoring and learning assistance within the California community college system, was held in Merced, CA at Merced College on Friday, March 23, 2018. The theme for the conference was “Cheers to Peers,” which recognizes the transformative work student leaders do to support and empower their fellow students. 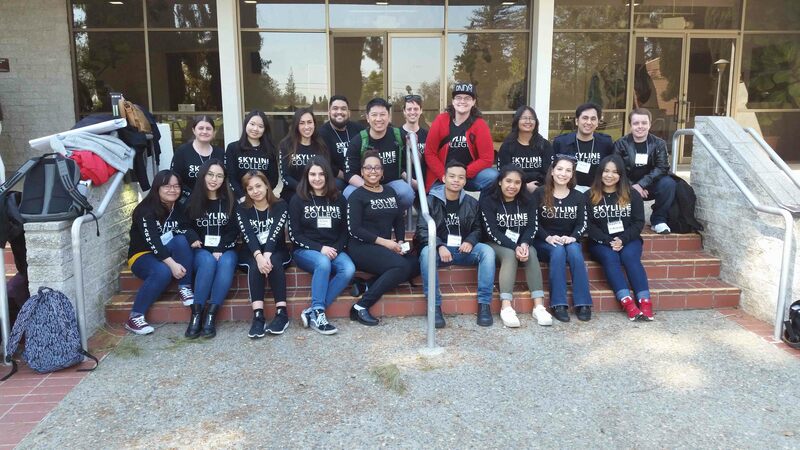 Skyline College was well represented with 19 people in total, including Supplemental Instruction (SI) Program Coordinator Timurhan Vengco, Instructional Aides Christina Trujillo and Hong Guo, Peer Tutors, Professional Tutors, SI Leaders, and Peer mentors. Tutor Expo provides an excellent opportunity for students to share their knowledge and grow as leaders. “Having an opportunity to present at Tutor Expo 2018 is a memorable experience. This is not the first professional conference that I’ve attended, but it’s special enough for me to make time to participate every year. During the conference, I shared my stories and also made some new friends from other schools. I learned about Growth Mindset and how to apply it into my study. Moreover, since this is my last semester, I spent a good time with my friends.” Peer Mentor and business statistics SI Leader Thanh Nguyen said. Other presentations addressed topics such as tutor and student leader training, faculty-Learning Center collaboration, discipline-specific academic support, program development, and more.